On the Tuesday before the big day we hosted a welcome party for all of our guests at my favorite Balearic Beach - Cala Bassa. Cala Bassa is stunning and has what is in my opinion on of the coolest chiringitos on the island, Cala Bassa Beach Club, of course, or CbBC for short. It's setting amongst the palms and the crystal clear turquoise waters is like a dream come true. So naturally I wanted it to be my guests' introduction to the island. Not to mention, they have one of the best Paella's on the island... and The best cava sangria. We spent the day greeting our friends and family and having fun in the sun. and more Cava of course. I had the paella... my favorite! But my Mom's surf and turn was pretty darn good too. The next evening was the rehearsal followed by the rehearsal dinner. In America, my homeland, a rehearsal dinner is a tradition. It's a hosted dinner after the rehearsal of the church ceremony. You invite your close family and friends, usually the ones that are in your wedding party. We invited our guests to another one of our favorite chiriguitos. 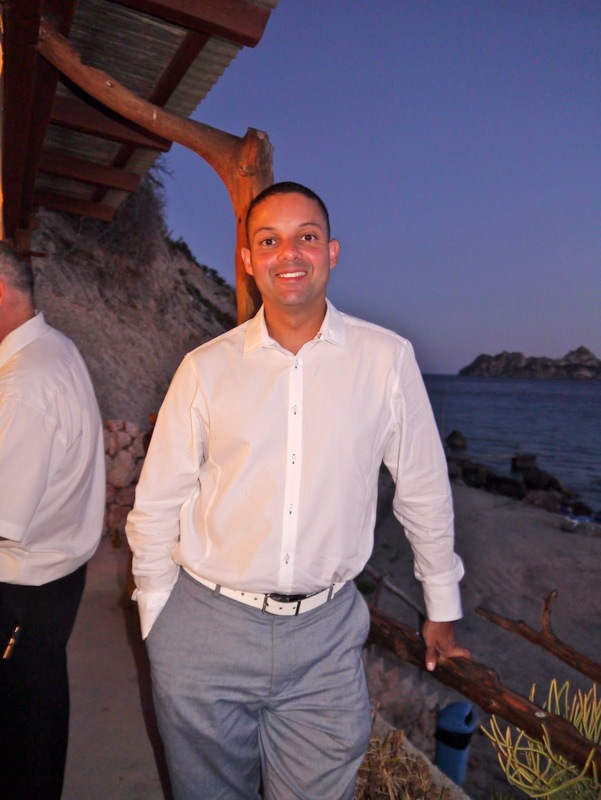 I wanted our guests to get a feel for the Balearic culture experience and local cuisine. Paella for twenty please... you can never have too much Paella. We chose Restaurant El Carmen on Cala d'Hort beach. and the did a fantastic job. Especially with the giant Paella. I think it is safe to say it was the best I ever had. Everyone loved the food, and the views. We had a magical evening with family. A great way to chill out just before the big day. The rehearsal dinner is the perfect time to give the bridesmaids, groomsmen, and moms and pops their gifts. Then it was time for a good night sleep before the wedding!